Welcome to Free Online Seva - Now We can give complaints on L.P.G, Ration Card, Rice Trader, F.P.Shop Complaints and other Complaints. Free Online Seva helps to you How to complaint about L.P.G- Consumer complaints on L.P.G and Government of Telangana provided L.P.G complaints in online. 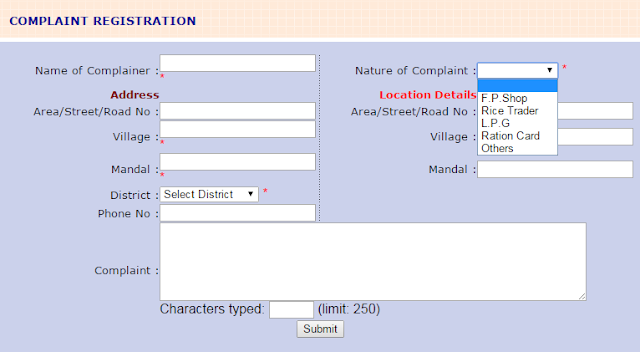 How to Complaint about L.P.G- Consumer Complaints?